Our new campaign is now up and running. Inspired by a song written by our friends, DNA, (who we helped produce a music video) our initial goal is to provide 10 Ghanaian schools with a stock of pens, pencils and notebooks to ensure that no child is prevented from learning because of a lack of basic equipment. We appreciate that this could turn into a never ending task as pens and pencils do not last forever so alongside this campaign we are also working with a family in the New Tafo area who are hoping to start up a stationary shop. It is our intention to use campaign funds to pay towards the cost of equipment that can then be sold at a heavily discounted price to local school children. This way we hope to boost the local economy as well as develop our 1 book, 1 pen campaign. 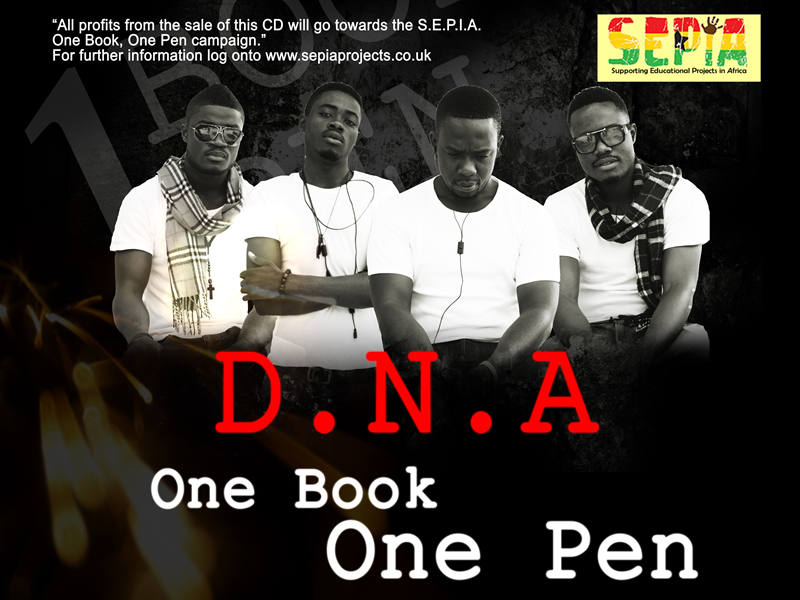 The song 'One Book, One Pen' is now on sale here - the proceeds will help to pay for the costs of the stationary. The song is now also available on iTunes and Spotify. If you would like to support this campaign differently you can either donate by using the link on this page or the next time you are out shopping, look out for a set of pens or pencils and drop them off at Perins School Office in New Alresford marked for Michael Clarke, SEPIA. If this is not convenient then let me know by e mail on info@sepiaprojects.co.uk and I will come to collect them. In June two Ghanaian teachers will be visiting us and they will take the stationery back with them and distribute to the schools.